The root of today's game of golf can be dated as far back as 1547 and there are approximately 4 million golfers in Britain. 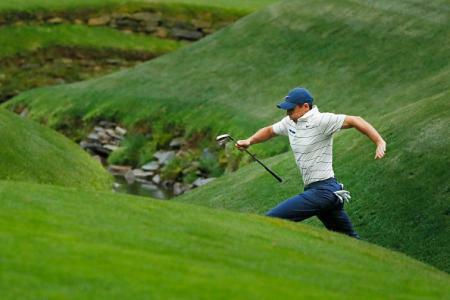 And considering how long golf has been around, it is a complicated sport at the best of times and that is before factoring in some of the strangest phrases and terminology that has been built up over decades of playing the game. 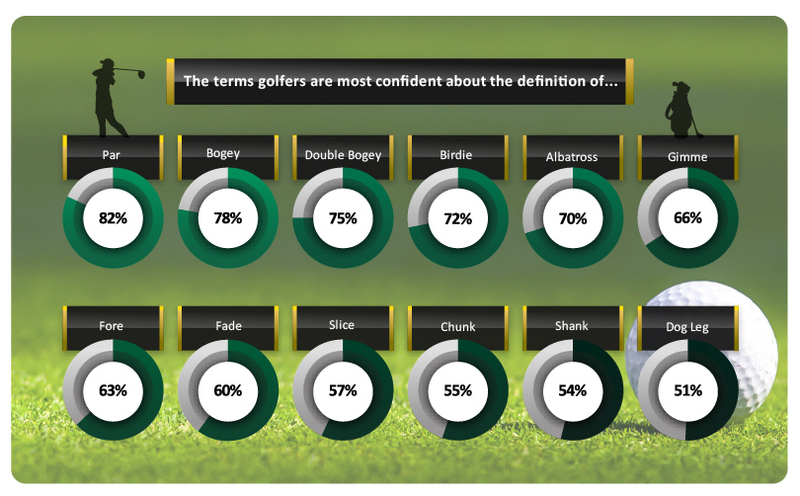 As a result, golfing experts, GolfSupport.com surveyed 686 avid British golf enthusiasts to see how confident they are with the definitions of a range of golf words and phrases. The participants were presented with a variety of golf phrases and were asked to state which they felt most and least confident about the definition of. Par (82%), Bogey (78%), Double Bogey (75%), Birdie (72%) and finally Albatross with 70%. 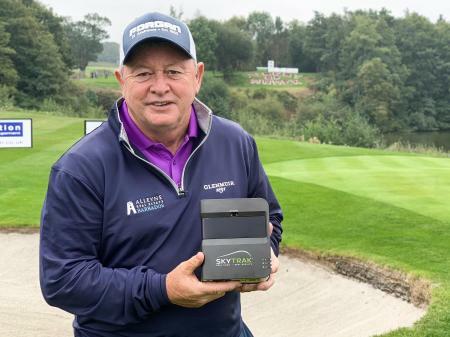 Golf Support found that ‘Gimme’ is the sixth phrase that the majority of British amateur golfers feel the most confident defining at 66%. The term translates to describe ‘when your putt is close enough to the hole that it is considered to be made’. 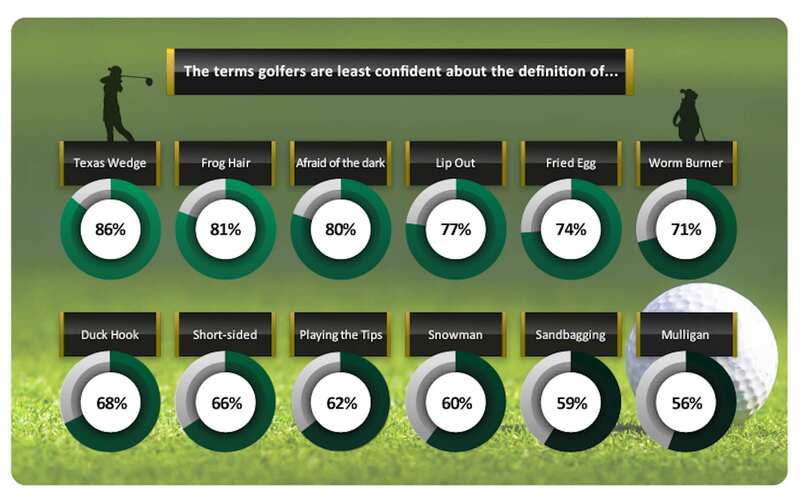 Subsequently, 63% of survey participants feel assured to know the meaning behind ‘Fore’, is a phrase shouted to warn fellow golfers of an incoming ball. Fade (60%), Slice (57%), Chunk (55%), Shank (54%) and Dog Leg with 51%. At the other end of the scale, a substantial 86% of British Amateur golfers feel the least confident defining ‘Texas Wedge’, which is interpreted as ‘the use of a putter any time you are off the green’. This was closely followed by 81% stating they felt unsure of the correct definition of ‘Frog Hair’, which refers to the ‘closely mowed fringe surrounding the putting green’. 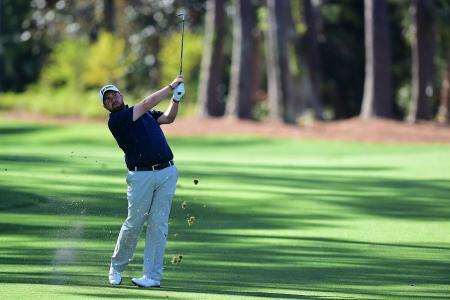 Short-sided (66%), Playing the Tips (62%), Snowman (60%), Sandbagging (59%) and Mulligan at 56%.